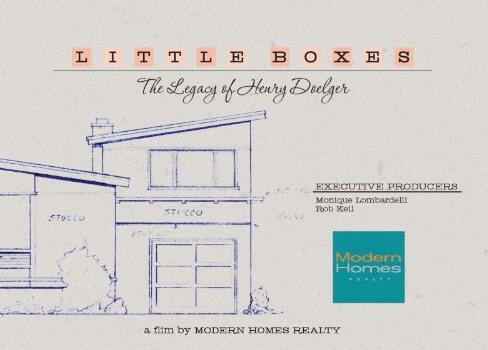 This year’s MoHo Realty Architecture Movie series, sponsored by North Carolina Modernist Houses and MoHo Realty, continues on Thursday, November 5, at the James B. Hunt Jr. Library Auditorium in Raleigh with a double feature that focuses on small houses. “Lustron: The House America’s Been Wait For” documents the rise and fall of engineering genius Carl Strandlund and his brainchild, the “Lustron,” a 1000-square-foot, post-war, pre-fab house. Made entirely of porcelain-enameled steel, the little Lustron was rot-proof, vermin-proof, and never needed painting. Averaging just $10,000, Lustrons could be erected on site in less than a week. The Lustron’s ultimate failure was blamed on simple market forces. But in 1994, film producers Bill Kubota, Ed Moore, and Bill Ferehawk discovered a trail of newspaper clippings, Senate hearing transcripts, and internal Lustron Corporation documents suggesting that the collapse of the “General Motors of housing” was brought on by a government conspiracy that reached all the way to the Truman White House. Monthly now through February, the MoHo Realty Architecture Movie Series will screen hard-to-find architecture-related films in the Hunt Library Auditorium at NC State University with one additional film in downtown Raleigh in November. Doors open at 7 p.m. Tickets are $10 at the door. Cash and credit cards are accepted. Mod Squad members get in free until capacity is reached. The first 100 NCSU students with a student ID are admitted free of charge. NCSU Friends of the Library get 10 percent off tickets with a “Friends of the Library” card. The Hunt Library is located on Centennial Campus at 1070 Partners Way, Raleigh. Free parking is available adjacent to the library. 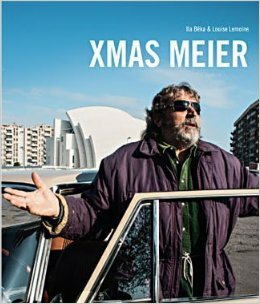 A documentary on the late Italian architect, environmentalist, philosopher. The 2014-15 MODTriangle Architecture Movie Series, hosted by North Carolina Modernist Houses (NCMH) and sponsored by Sarah Sonke of MODTriangle, continues Wednesday, February 4, at 7:30 p.m. with a special screening of “The Vision of Paolo Soleri: Prophet In The Desert” at Full Frame Theatre, American Tobacco Campus, in downtown Durham. 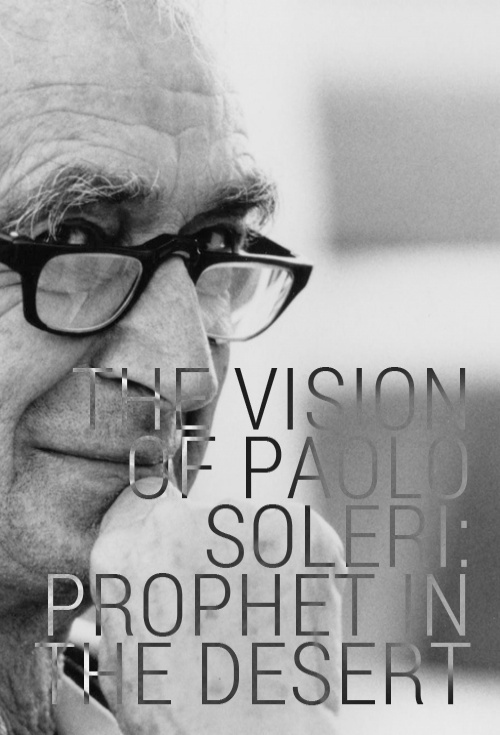 Directed by Scottsdale filmmaker Lisa Scafuro, the 2013 documentary explores Italian architect and environmentalist Paolo Soleri’s unprecedented artistic quest. Soleri (1919-2013) came to America in 1946 to meet and mentor under Frank Lloyd Wright at Taliesin West, Arizona. After a year and a half, Soleri left Wright to embark on a blazing original course of his own that drew people from Jimi Hendrix to Buckminster Fuller to listen and learn from the artist, philosopher, and architect. All tickets to the film are $10 at the door. Space is limited so movie goers are encouraged to arrive early. Full Frame Theatre is located within the American Tobacco Campus at 320 Blackwell Street, #101, Durham, NC 27702. Blueplate PR in Raleigh is sponsoring this special screening. Series sponsors include The Kitchen Specialist, VMZinc, Palette & Parlor, and MdM Historic Consultants. For more information on NCMH and the entire 2014-15 Architecture Movie Series visit www.ncmodernist.org/movies. A look at the life and legacy of a great American architect. 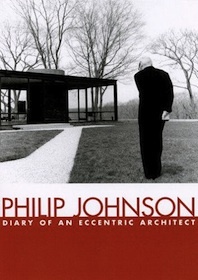 March 6, 2012 (Cary, NC) – Triangle Modernist Houses (TMH) will conclude the 2011-2012 Nowell’s Architecture Movie Series with “Philip Johnson: Diary of an Eccentric Architect” on Thursday, March 15, at 7:30 p.m. in the Galaxy Cinema in Cary. One of the best-known and most influential American architects of the 20th century, Philip Johnson, FAIA (1906-2005) founded the Department of Architecture and Design at the Museum of Modern Art in New York City in 1930. It was there that he and friends Alfred H. Barr, Jr. and Henry-Russell Hitchcock assembled the landmark exhibition “The International Style: Architecture Since 1922″ in 1932. The show introduced the American public to the modern architecture that Le Corbusier, Walter Gropius, Mies van der Rohe, and others were designing in Europe. In 1978 Johnson was awarded the American Institute of Architects Gold Medal, the highest honor the AIA confers, as well as the first-ever Pritzker Architecture Prize to honor an architect of international stature. Directed by Barbara Wolf, the film “depicts Johnson at work, the importance of the architectural act, and the buildings’ interaction with their environment,” according to Design Intelligence (di.net/videos). 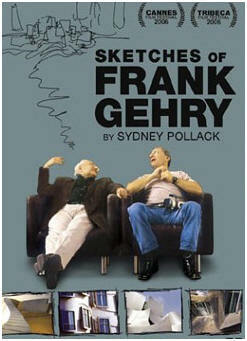 Lee Hansley Gallery is sponsoring this special screening of “Philip Johnson: Diary of an Eccentric Architect.” Sponsors for the entire TMH Architecture Movie Series include Nowell’s Contemporary Furniture, Dail Dixon FAIA, Studio B Architecture/BuildSense, Modern Home Auction, Cherry Modern, Kontek, and Alphin Design+Build. Tickets to the film are $9. The Galaxy Cinema is located at 770 Cary Towne Boulevard, Cary, NC 27511 (919-463-9989). Hosted by Triangle Modernist Houses, the annual Nowell’s Architecture Movie Series features hard-to-find films about Modernist architects and architecture. Films are shown one Thursday of each month from October through March. All proceeds from ticket sales support Triangle Modernist Houses’ mission of documenting, preserving and promoting Modernist residential design from the 1950s to today. For more information on the award-winning non-profit organization, visit www.trianglemodernisthouses.com. Triangle Modernist Houses (TMH) is a 501C3 nonprofit established in 2007 to preserve and promote Modernist architecture. The award-winning website, now the largest educational and historical archive for Modernist residential design in America, continues to catalog, preserve, and advocate for North Carolina Modernism. TMH also hosts popular Modernist house tours several times a year, giving the public access to the Triangle’s most exciting residential architecture, past and present. These tours raise awareness and help preserve these “livable works of art” for future generations. Visit the website at www.trianglemodernisthouses.com. TMH also has an active community on Facebook. 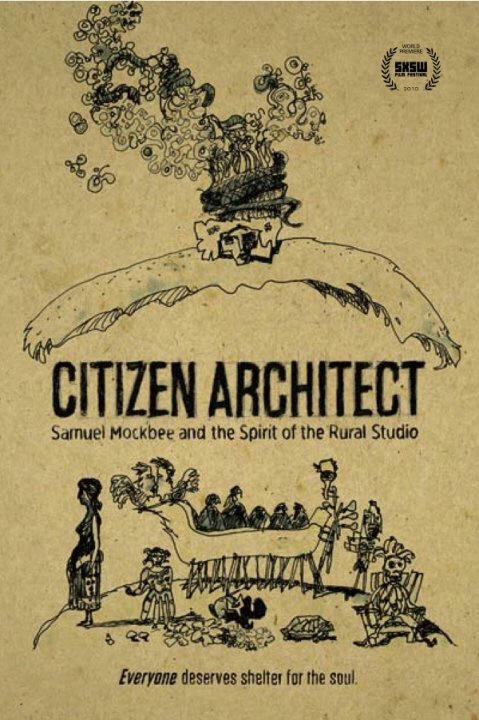 March 3, 2011 (Cary, NC) – Triangle Modernist Houses (TMH) will conclude this winter’s Nowell’s Architecture Movie Series with a special screening of “Citizen Architect: Samuel Mockbee and the Spirit of the Rural Studio” on Thursday, March 17, 7 p.m., at the Galaxy Cinema in Cary. Revealing the philosophy and heart behind the Rural Studio, the documentary, directed by Sam Wainwright Douglas, is guided by passionate, frank, and never-before-seen interviews with Mockbee himself. Douglas supplements Mockbee’s words and the students’ experiences with perspectives from other architects and designers who share praise and criticism of the Rural Studio, including Peter Eisenman, Michael Rotondi, Cameron Sinclair, Steve Badanes and Hank Louis. Their dialogue infuses the film with a larger discussion of architecture’s role in issues of poverty, class, race, education, social change and citizenship. “Citizen Architect aims to inspire, and does so with one basic idea: Architecture is for the people dwelling within it,” wrote the Grand Rapids Press after the documentary was broadcast on PBS in August of 2010. Mike Spinello, a Raleigh architect and graduate of Auburn University who studied at the Rural Studio, will introduce the film. This special TMH screening of “Citizen Architect” is sponsored by Nowell’s Contemporary Furniture, Blueplate PR, Foundation Bar & Lounge, Kontek, Blok, and Center Studio Architecture. Tickets are $7.95 in advance or $9 at the door. To reserve advance tickets, go to www.trianglemodernisthouses.com/register.htm. Triangle Modernist Houses (TMH) is a 501C3 nonprofit established in 2007 to restoring and growing modernist architecture in the Triangle. The award-winning website, now the largest educational and historical archive for modernist residential design in America, continues to catalog, preserve, and advocate for North Carolina modernism. TMH also hosts popular modernist house tours several times a year, giving the public access to the Triangle’s most exciting residential architecture, past and present. These tours raise awareness and help preserve these “livable works of art” for future generations. 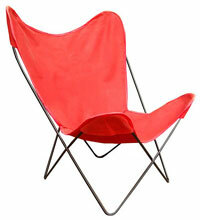 Visit the website at www.trianglemodernisthouses.com.